There is no easy walk to freedom anywhere. Happy 4th of July, USA! Let’s remember where our freedom comes from and celebrate. 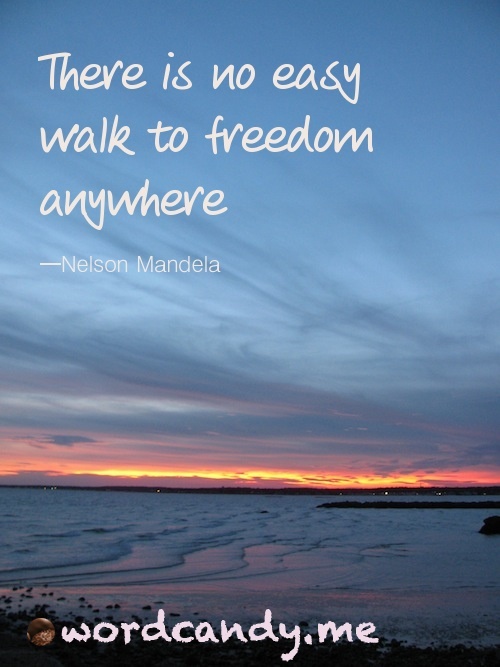 This entry was posted in Wisdom & WordCandy and tagged 4th of July quote, fight for freedom, Nelson Mandela by Cate Macabe. Bookmark the permalink.